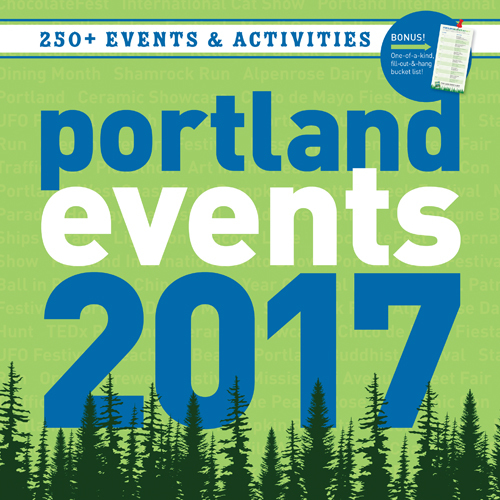 Researching and editing the Portland Events Wall Calendar was my first job in Portland, back in 2010, and I'm excited to say the 2017 edition is now available. We're in our sixth year, and I think it's the best year, yet. 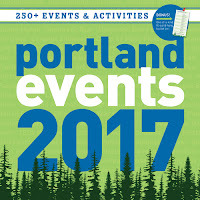 We added new events, found 2017 dates to help you plan, and feature another year of beautiful photos of Portland and the surrounding area. 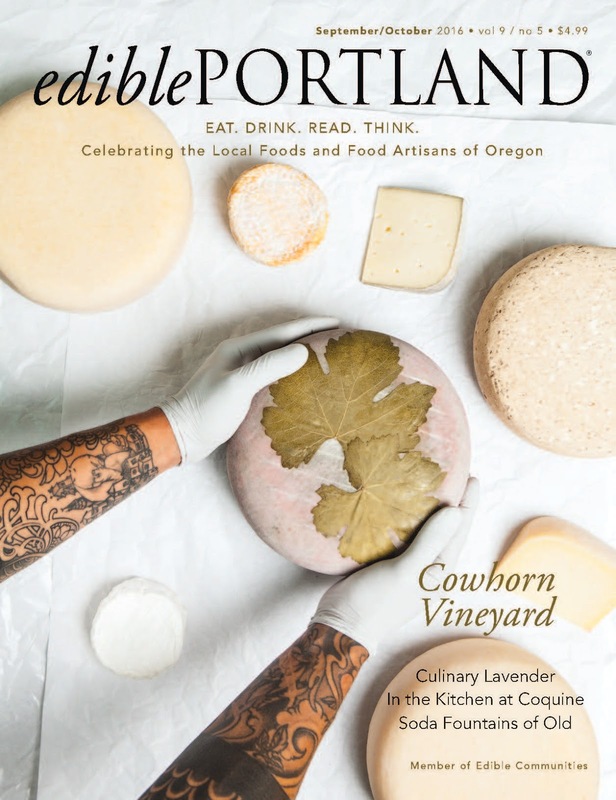 Find a copy at local stores, like New Seasons, Powell's, and Food Front Grocery, or buy it online at Powell's or Amazon. the Code Orange Egg Drop (Seriously: A helicopter drops 20,000 plastic Easter eggs in Brentwood City Park. Around 2000 kids partake, and it's free). It's weird being on the other side of the pen. After meeting at last year's Northwest Travel Writers Conference, business news writer Lori Kimbel gave me the honor of being featured in The Gorge Business News as an "Oregon Maverick." The article came out in July (one day after my birthday in fact), and it's really a thoughtful and fun piece. It's weird being on the other side of the pen, and it's also flattering. Thank you, Lori! There are many ways to connect with nature. You can go hiking, or rent a room with a view. You can also eat it. 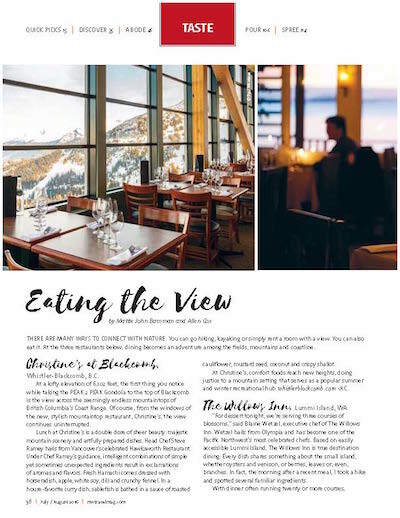 At the three restaurants below, dining becomes an adventure among the fields, mountains and coastline. Amphora-Aged Cocktails: Clyde Common's Jeffrey Morgenthaler is credited with inventing the barrel-aged cocktail, a fully mixed batch of cocktails aged in a wooden barrel to gain flavor—as a winemaker might age wine. Today, Ava Gene's bar manager Douglas Derrick takes this further: He's teamed up with a local winery and amphora producer to make amphora-aged negroni, only available at the restaurant. Northwest Bounty: This is the annoying term that everyone seems to use to describe what makes food in Portland different. 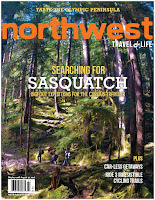 What makes it annoying is that it's true: Bigger and better ingredients come from the Pacific Northwest. Taste it, and you will understand. LANGBAAN: You've almost certainly never had Thai food like this before. Langbaan serves historic regional Thai dishes—some from ancient royalty's cookbooks—and is perhaps the hardest Portland restaurant to get into. It's a hidden restaurant inside of PaaDee and books out months in advance. Make your reservation now to taste an incredibly well designed prix fixe menu. At three o'clock Sunday morning, assistant pitmaster Geff Hoekman wakes up in the parking lot of the Mill Casino in Coos Bay, Oregon. He steps out of the Uff-Da-Q team cargo trailer into the chilled coastal night air, heavy with smoke and the smells of cooking meat from 45 barbecue teams. 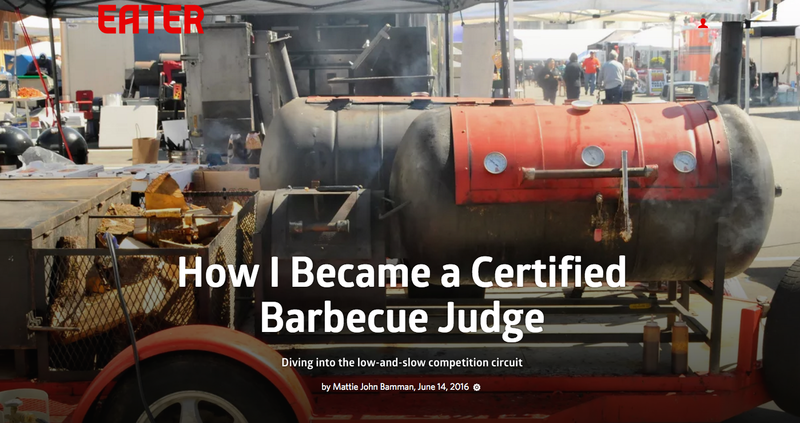 He tests his smoker to make sure the fuel is burning evenly, consulting thermometer probes stuck deep in the meat inside in search of hot and cold spots. He and his team drove eight hours and spent $1,000 to get here, and on the line is $4,000, plus all-important bragging rights. He'll wake up every 45 minutes to repeat the ritual until dawn. When was your last "Aha!" wine moment? That moment when you drank a wine so special, you haven't seen wine the same since? 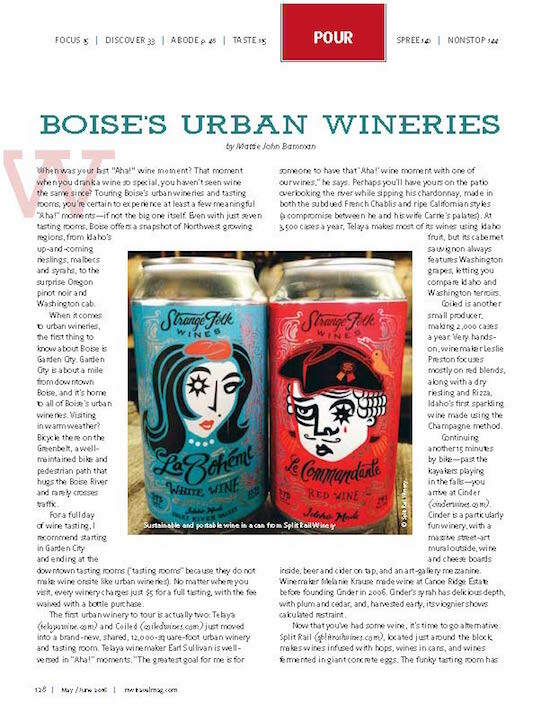 Touring Boise's urban wineries and tasting rooms, you're certain to experience at least a few meaningful "Aha!" moments—if not the big one itself. 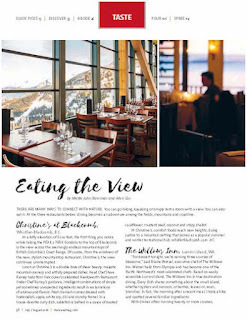 Even with just seven tasting rooms, Boise offers a snapshot of Northwest growing regions, from Idaho's up-and-coming rieslings, malbecs, and syrahs, to the surprise Oregon pinot noir and Washington cab. 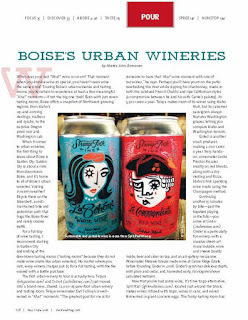 When it comes to urban wineries, the first thing to know about Boise is Garden City. Garden City is about a mile from downtown Boise, and it's home to all of Boise's urban wineries. Visiting in warm weather? Bicycle there on the Greenbelt, a well-maintained bike and pedestrian path that hugs the Boise River and rarely crosses traffic. Arriving hungry in Idaho, I thought what I assume everyone visiting Idaho for the first time thinks: Where are the taters? Fun and bizarre potato creations have defined Idaho's culinary story for years—for instance, you'll find the blooming potato (an ingenious way to fluff-ify a potato) and baked potatoes topped with vanilla ice cream. Most restaurants serve the potato simply, whether mashed or baked, because the extra flavorsome Idaho potato is a delicacy unto itself. 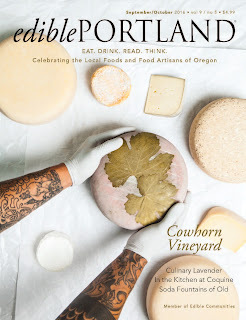 The chefs, winemakers, farmers and friendly Idahoans I met painted a surprisingly diverse culinary landscape. In fact, the whole potato thing can seem like a never-ending bad joke, once you know how many Idaho delicacies are out there. $125 registration includes editors panel, workshops, networking mixer, conference food & beverages, and regional travel & tourism exhibitors. Great contacts for attendees! See you in Walla Walla! 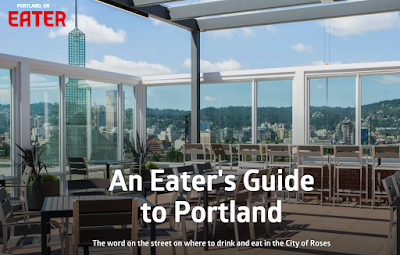 Since the rise of the pop-up restaurant, even newer and more out-of-the-box dining experiences have popped up (sorry, really), and in Portland, nothing has received more obsessive fanfare than the hidden restaurant. Despite the fact that hidden restaurants are, well, hidden, they’ve attracted huge followings. 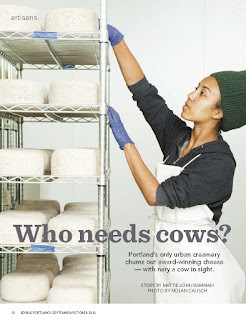 They tend to be small (all the better for hiding from you, my dear), and they’re often hidden inside of other establishments, whether restaurants or gourmet grocers. 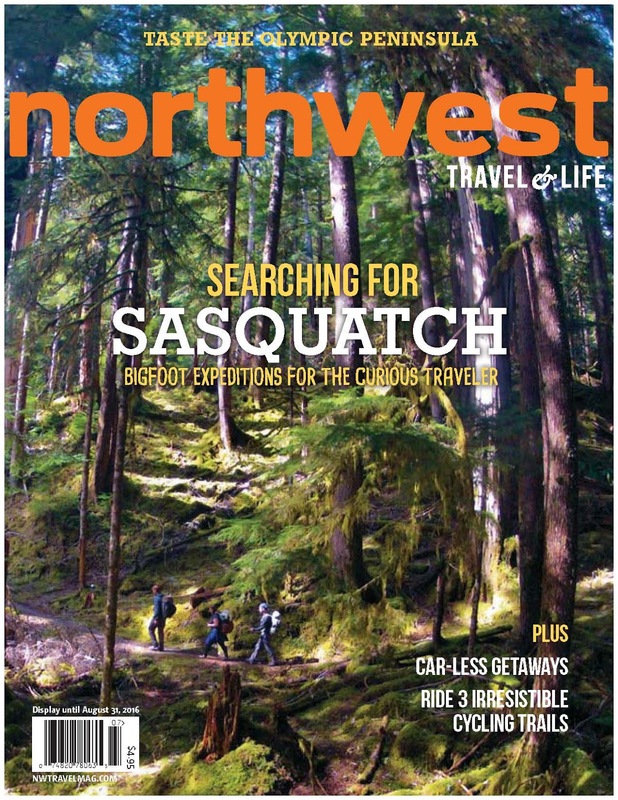 This issue is now in stores! 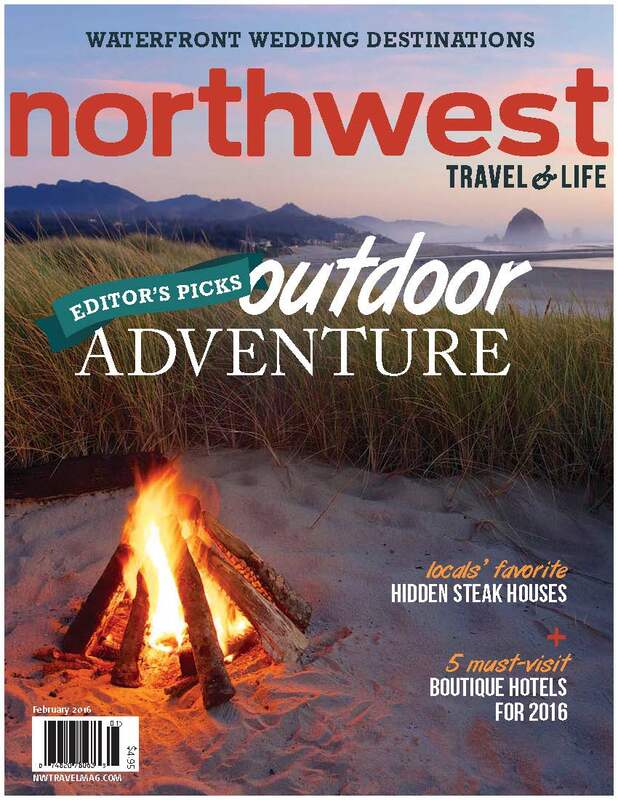 Find Northwest Travel & Life Magazine in Fred Meyers, Safeway, Whole Foods, Barns & Noble and more. 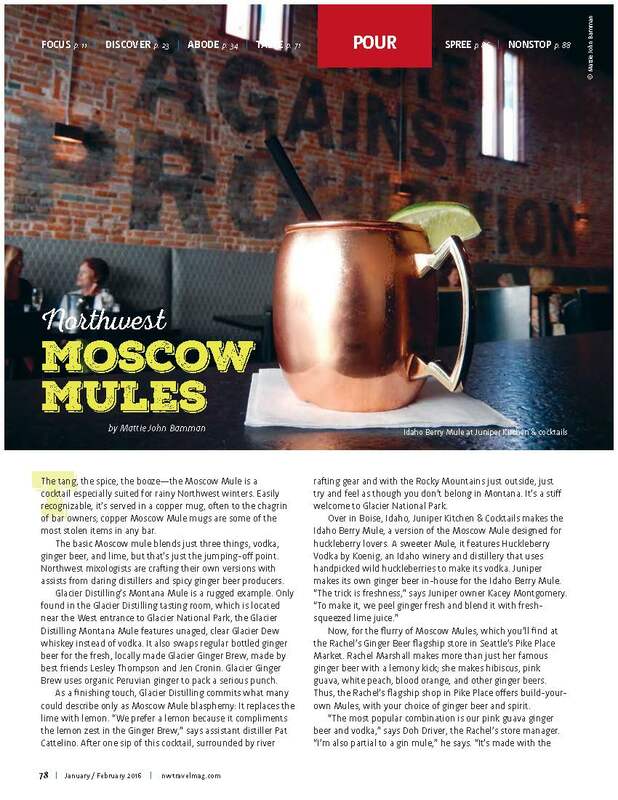 The tang, the spice, the booze—the Moscow Mule is a cocktail especially suited for rainy Northwest winters. 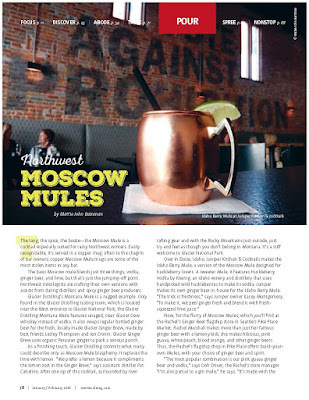 Easily recognizable, it's served in a copper mug, often to the chagrin of bar owners; copper Moscow Mule mugs are some of the most stolen items in any bar. I'm on Right At The Fork! Here's a rad podcast all about the new restaurants in Portland this year. 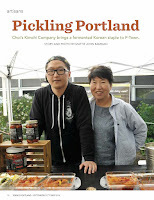 I talk with hosts Chris Angelus and 101.9 Kink's Cort Johnson about some of the biggest Portland restaurant openings slated for early 2016, including Pine Street Market, Century, and Besaw's. 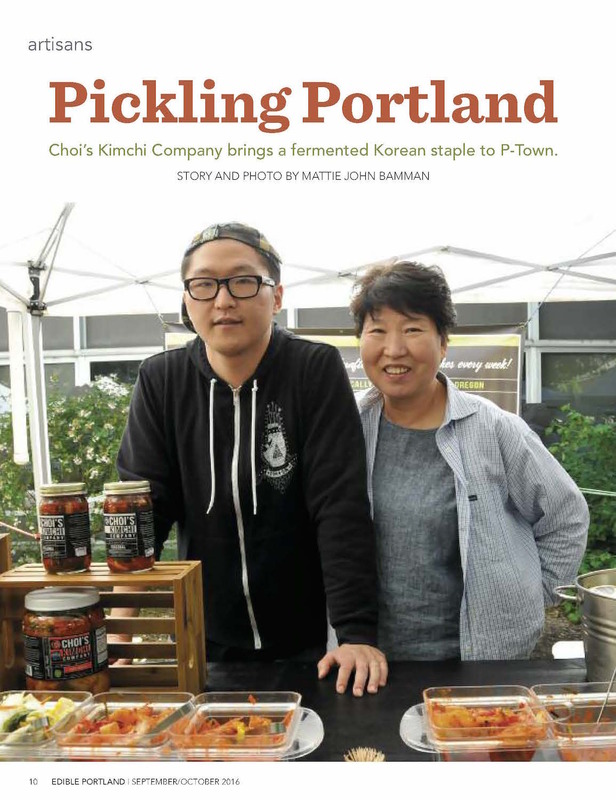 Chris's Right At The Fork is a regularly scheduled podcast that's all about eating in Portland, from dive bar recs from veteran bartenders, to restaurant trends with ChefStable restaurateur Kurt Huffman. 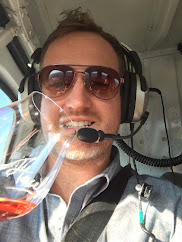 Chris also runs the Portland Food Adventures dinner series, which takes you to special PFA-only dinners at some of the city's hottest restaurants (you can sometimes get into restaurants that haven't even opened, yet, too). 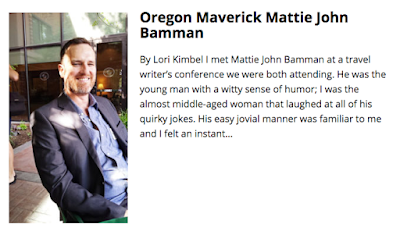 Mattie John Bamman, Eater PDX's editor-in-chief, discusses the places coming in 2016 that excite him most. 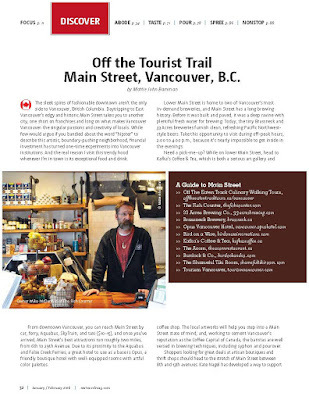 New Article: Off the Tourism Trail: Main Street, Vancouver, B.C. 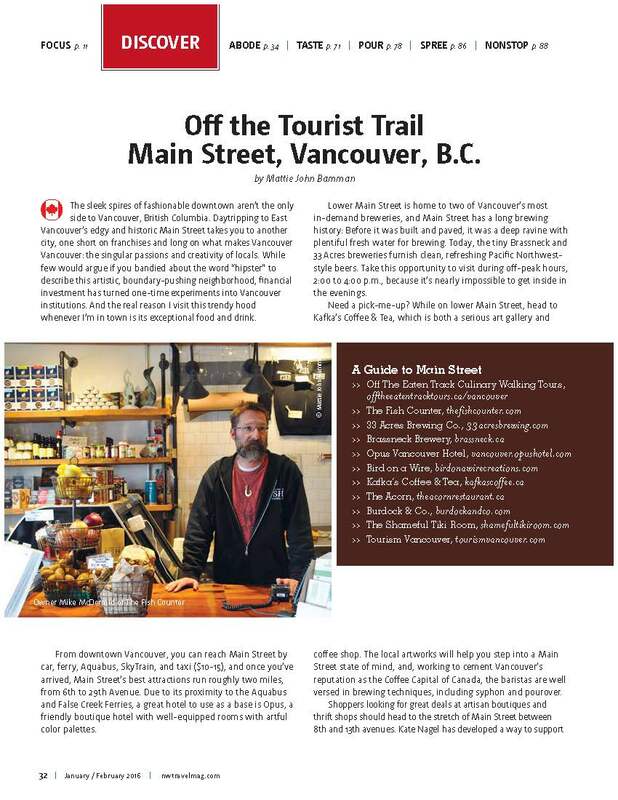 Off the Tourism Trail: Main Street, Vancouver, B.C. This conference just gets better. And really, who needs an excuse to visit Walla Walla in May? 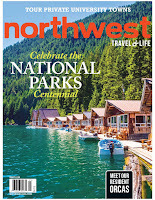 Explorer Media Presents (January 6, 2016) -- You are invited to Travel & Words 2016, the Northwest’s premier conference for travel and lifestyle writers. Travel & Words 2016 will be held in Walla Walla, Washington, on May 16 and 17 at The Marcus Whitman, one of the Northwest’s historic grand hotels. Register for Travel and Words 2016 by January 31 for a discounted early registration fee of $99 (20% discount). Sign up for the conference and find out about special lodging rates at The Marcus Whitman here. Register today, before available spots fill up. 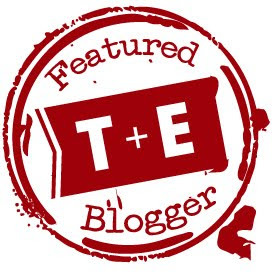 What makes a good travel writer (and how to become one)? 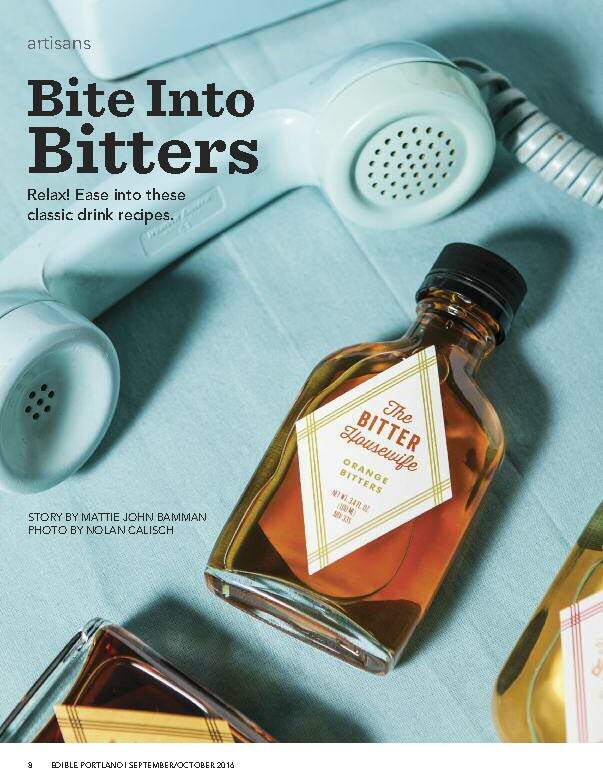 For thirty years a travel writer and editor for Sunset Magazine, Peter Fish will share a few secrets of his success and also a few of his most humiliating failures. 2. 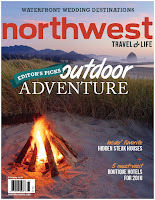 Editors Panel: Discover current travel publishing trends and what editors are looking for from freelance writers. 3. Destination Marketers Panel: Destination Marketing Organizations (DMO) and Convention & Visitors Bureaus are a freelancers allies. Learn what they can do for you and what they expect from you. 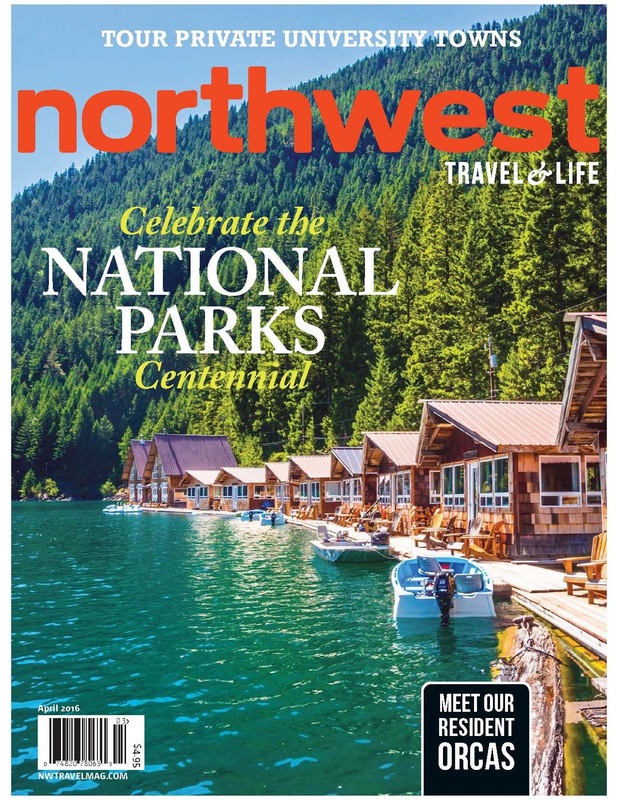 Northwest (U.S. and Canada), with opportunities for writers to network, discuss familiarization (FAM) trips and gain dozens of story ideas. 5. WORKSHOP INTENSIVES: Your choice of two workshops presented by industry pros (sign up at conference registration, no additional fee). Full descriptions of the 2016 Workshop Intensives are here. The Networking Mixer: Unwind with editors and destination marketers in an informal setting while sampling Walla Walla wines and gourmet bites by the culinary team at The Marc. The mixer will be held off site at the Gesa Power House Theatre. FAM: An opportunity to be selected for a post-conference all-expenses-paid familiarization tour hosted by Visit Walla Walla. Choose from 3 FAM tracks: culinary, wine or recreation. Instructions for applying are here. Door Prizes: Bring your business cards to toss in the bowl for fabulous door prizes.